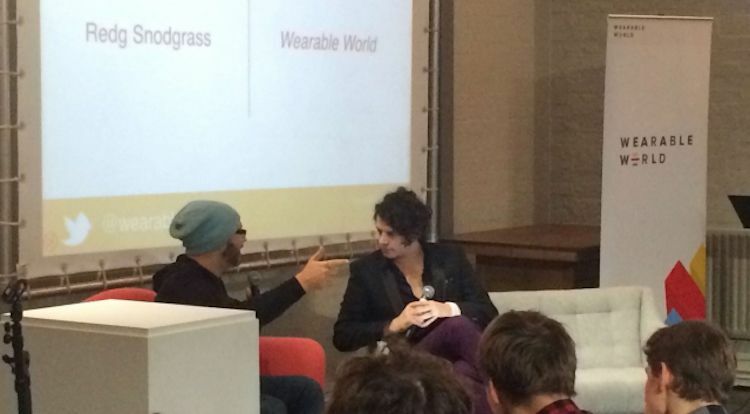 Wearables: gorgeous or user friendly? It should be a perfect mix, speakers and spectators agree at GLAZED Conference in Shoreditch, London. The reality seems a bit more complicated. The wearable market has grown exponentially the last years. In 2010 we wore normal digital watches and didn’t even know Google was working on its revolutionary Glass. Nowadays we wear braces to monitor our heartbeat during running or watches to measure the distance we’ve covered on our bicycles. Chronically ill people use the Proteus Pill for digital health feedback that’s notifies them when new medication is due. Wearables have become a market in which billions are spent and earned and the future of Wearables and IoT is bright as well. Mark Brooks of Wearable.ai gives a brief overview of what the markets looks like now and in the future. He believes the Wearable market will be worth 11,6 billion dollars in 2020. That’s only 6 years from now. Paul Miller of Bethnal Green Ventures thinks Europe has an advantageous over the United States if it comes to shaping Wearables to modern appearance and UX. “The most exciting is the wearable contest, that spins around the globe. The European Union will overtake the United States in adopting Wearables for health and fitness, for instance. The foundations of fashion were laid in Europe, Europe knows fashion. Technology companies will bring fashion into their Wearables, hence Europeans will buy more of them in the future”, he argues. Ray Edwards, working with HP as a Chief Network Architect, is very clear of developing ugly and user unfriendly Wearables. “You wear them, they become a part of your body”, he says. They should be gorgeous or invisible. Dutch designer Pauline van Dongen actually merges fashion and design if it comes to Wearables. For Pauline van Dongen there’s a very thin line between fashion and technology. To put it stronger: technology and fashion belong to each other. At Mobile Convention Amsterdam 2014, Pauline showed her Wearable Solar Project. With the Wearable Solar project Pauline aims to meet the increasing demand of energy and connectivity, while anticipating on the growing wearable tech market: a market in which clothing and accessories more often become a platform for new functionalities. For instance Google Glasses and smart watches.